The M.V. 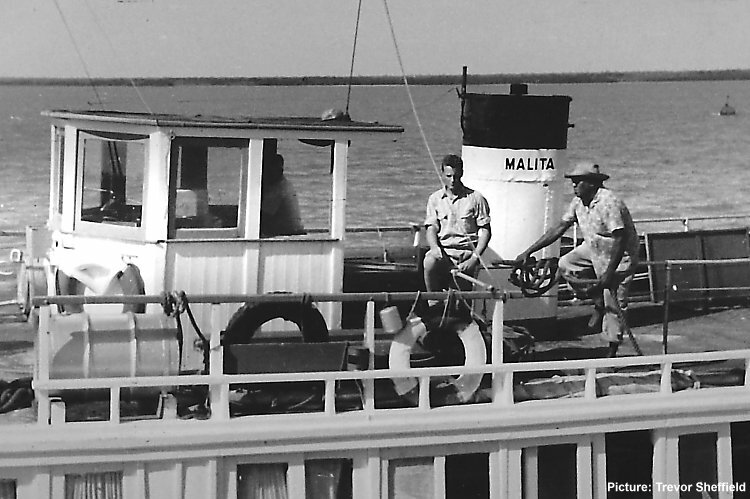 Malita which was used by the Raydist expedition of March 1964 as a support vessel. (left to right) Bill Priest (in the wheelhouse), Dennis (H.M. Customs) and David.